Dual Kernels and 3D CAD Repair Options! When working with imported models it is necessary to have robust direct edit functionality. Adding the benefits of the two major solid modeling kernels adds a much more direct edit flexibility. IronCAD offer the only true integrated history/direct edit 3D CAD design system. Both design paradigms are readily available in the design process. 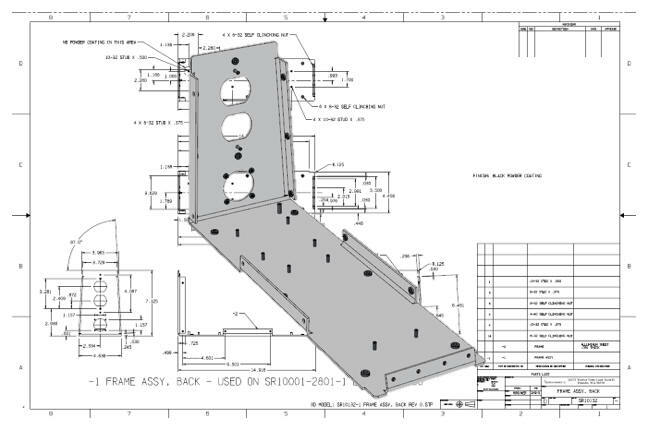 Having both the Parasolid (.x_t) and ACIS (.sat) solid modeling kernels as options when importing data will make a difference with a ZW3D, Creo, Solidworks, Solid Edge, Catia 4/5/6, NX, Inventor, STEP, IGES files or any other solid modeling program. Both kernels handle the import and repair a bit differently. Having a system with only one option will limit your options. IRONCAD also supports various repair options such as stitching (normally done automatically but there are specific commands for sew and solidify (which stitch and sew together surfaces), Patch, Statistics, and Direct Modification commands. Here is a video using both the Parasolid and ACIS on the same file. You can see both options yield different results. Some of the repair options have also been highlighted. Therefore we feel that the dual kernels provide better options for users. We we offer several repair tools to help correct data if needed. When using imported data it is worth noting what the intent is for the geometry. If you are importing and using it as a reference to build around, IRONCAD provides advanced tools to lump data into a single node that can be referenced by other objects to improve performance since it is not necessary to have many surfaces in the structure that can hinder the performance (and we build this into a single file to avoid cluttering the file system with many objects that may not be necessary). So you have both capabilities for editing imported data as well as reusing it for reference which may not be found in other applications. Download IronCAD and import any of your parts or assemblies and see how they come into one single file. Then instantly start modifying them with the industries only robust integrated history and direct edit 3D CAD system. Where does your system stand? If you are interested in adding professional hybrid modeling capabilities or looking for a new solution to increase your productivity, take some time to download a fully functional 30 day evaluation and play with these packages. Feel free to give me a call if you have any questions or would like an on-line or on-site (Great NW Area) presentation. Four Functions that Increase CAD Productivity! !